Naomi doesn't just bob up and down when she walks. She also moves side to side with each step, moving her body in an arc but always keeping her head vertical. This is a style of puppet walking that Tim Gosley taught me; he called it "the Mokey walk". The windshield wipers on the buses here in Ottawa do the same thing. Special thanks to the bus driver who turned the wipers on for me so I could film them for this GIF. Note how the wipers move in an arc, but since they're constructed of two parallel bars pivoting independently, the short bar that connects them always stays horizontal. This was the basis for the head-bobbing mechanism of the Naomi robot, which I built out of Meccano about a year ago. I wanted the movement of the mechanism to match Naomi's normal movement as closely as possible, so I needed to measure the arc that she follows when she walks. I attached a ten-by-ten-cm grid to Naomi's face for scale, put her on my arm, and walked her in place for several steps in front of the camera. Then I took still frames of each "extreme" pose -- the leftmost point, the rightmost point, and the highest point that she reached in each cycle. The GIF below shows three typical extremes. I used GIMP to mark the centre of the grid in each extreme, then used the grid itself to measure how far she moves vertically and horizontally. 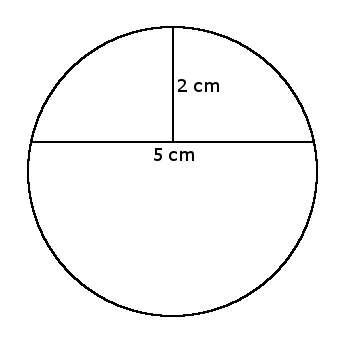 The average distances were 2 cm vertically and 5 cm horizontally -- in other words, a 2.5625-cm arm describing a partial circle. I got incredibly lucky with the placement of the holes in the Meccano. Putting a distance of one hole between the two pivot points gives an arm length of 2.55 cm, which is pretty much perfect! The red piece remains stationary while the two long green bars in the lower half of the photo move back and forth like windshield wipers. The horizontal green bar, and the vertical one at the top, remain in that orientation, and will ultimately support Naomi's head and body. This is why the moving part of the Heart of Gold had to move 5 cm to the left and right. The vertical green bar of the Meccano is going to attach to it in such a way that it will get dragged left and right, while the "wipers" constrain its motion so that it travels in an arc.